Okay, so it begins…Treats of Summer! Happy Belated 4th of July! After all the traditional and festivities, it means one thing to me: The Season of Summer Treats! Okay, so it’s not a real season but, it’s when I get some of my favorites…Homemade Ice Cream, Peach Cobbler, Blackberry Cobbler, Strawberry Pie, and Hot Fudge Cake. 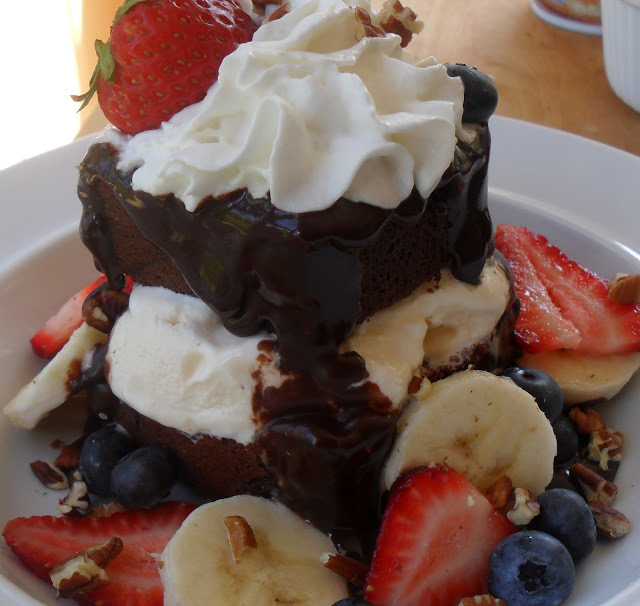 Click here for the Hot Fudge Cake recipe. oh yes it has begun already for me indeed and I am loving your start at summer with this treat! YUM! Shawn this is one of my favorite desserts you post! Love it! WOW! I can’t help drooling over this!!! For this dessert, I’d skip any heavy calorie food for a whole day… Amazing recipe Shawn!